Little Boy Brandon and mommy went to her work today. It was nice to have some adult conversation about work gossip and something other than Brandon’s sleep schedule (although that was discussed, too, as expected of any new parent). 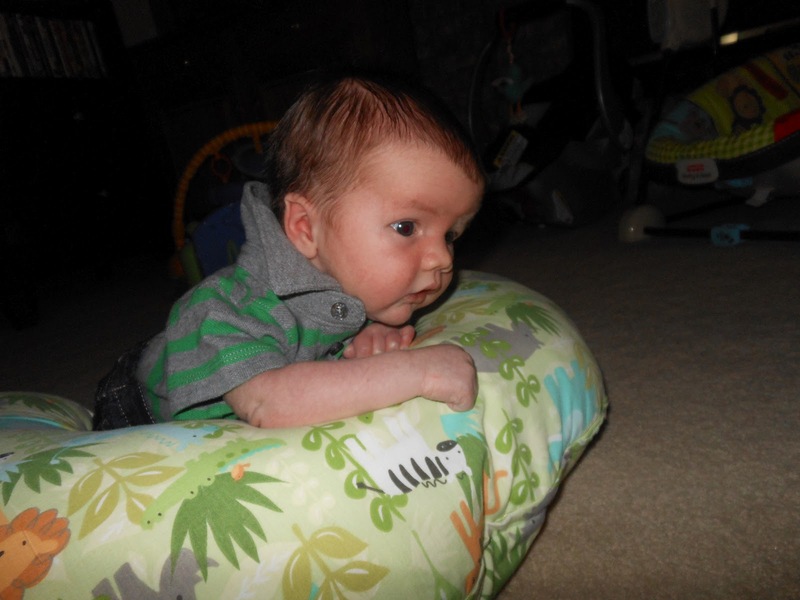 When we got home, we did some tummy time on the Boppy. Sure, it wasn’t floor level, but Brandon did hold his head up. 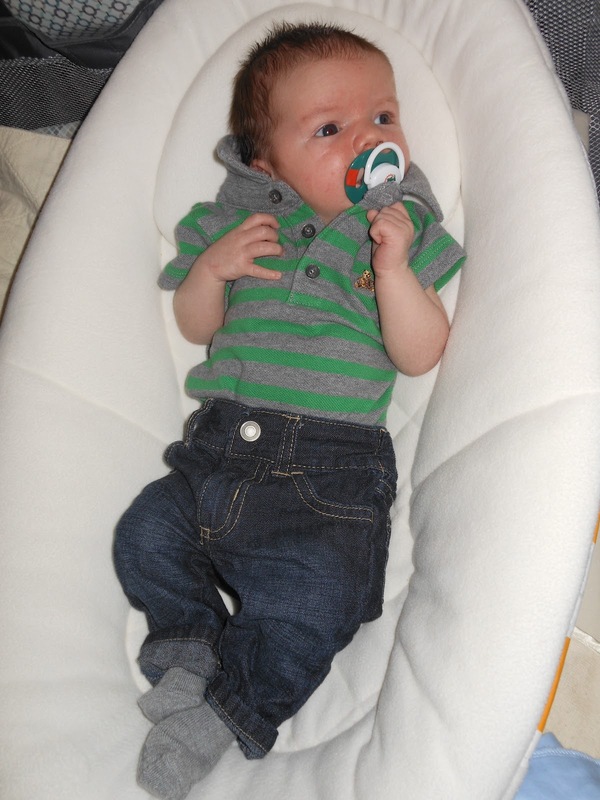 Pretty impressive for a three-week-old, if you ask his proud mommy. 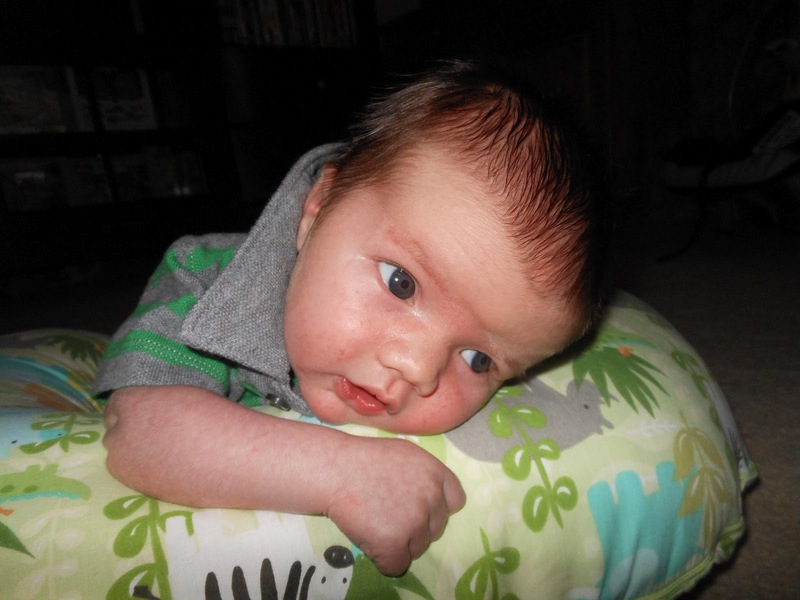 He has held his head up before, but never did I have proof caught on camera until now.